We ,Citycab,introduced new designed cargo trailer . 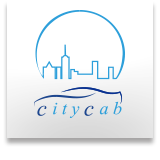 therefore, you can enjoy very supreme room in our luxury car when you are going to have a sightseeing around Tokyo area and also during our pick-up and drop-off moving to your destination from the airport. Please feel free to contact us and inquire your request and question anytime.